Penny Laurie, “Why I Write” in Overland, no 216 (2014), 3-9. Though I’ve done this blogging thing for a decade +, seasons of quiet are par for the course. I’m not sure why: weariness, busyness, distraction, not much to say. Or all of the above. For whatever reason, the last four months have disappeared – wordless – without a trace. It’s not just the blogging. Journaling, poetry, reading: it’s been zip on all fronts. The inkwell has been dry, and honestly, when arid sets in you begin to wonder why you do it at all. Except I know, deep down, that being wordless is not a state of health. Not for me. “All those things for which we have no words are lost.” I’m not sure the sublime Annie Dillard had in mind my dearth of blogging when she penned this sentence, but it strikes a gentle blow no less. Words make flesh. Words remember. Words name and hold things secure. It’s a reminder, too, that when all is said and done, I write for me. Indulgent it might sound, but writing is how I find myself. So, hear I am again. Blogging for year #12. In search of a word or two … or three. After twenty-eight glorious days of writing leave, I’m back at work. Though it’s been a bumpy landing, I’m glad to come back to a good job, good colleagues and a terrific community, and all in Melbourne’s best neighbourhood. I’m grateful, too, for an employer who still believes writing is worth my time. Just today I dropped by the regular Friday morning café for my weekly liturgical meal of eggs and mushrooms. Away for a month, it was nice to be missed. ‘Where did you go?’ my waiter asked as I took my seat. ‘What did you do there?’ He’s a pushy bloke; a Frenchman with not a skerrick of reserve. I can’t really. In fact, the older I get the more I need to write. I don’t know why. It’s not because I’m especially good at it. ‘Ok’ has to be good enough most of the time. There is nothing like the exceptional writing of others to keep aspirations modest. And it’s not the need to be read either. 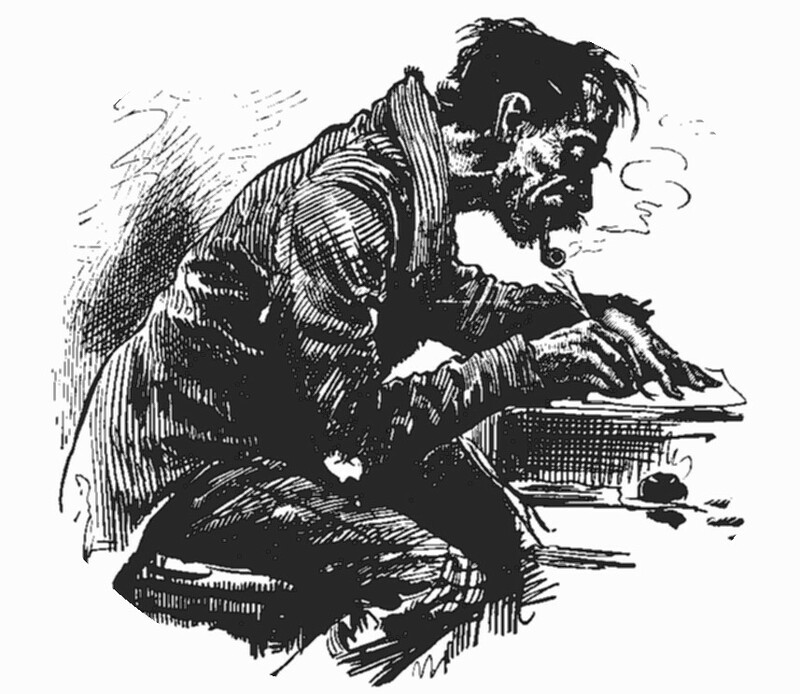 Truth be told, ninety-percent of what I write will never see the light of day. It has something to do with the way I’m built. If I’m not writing, I’m not doing well. Before I went away, I read a piece by the English journalist Laurie Penny titled, ‘Why I Write.’ It was timely, a good dose of encouragement to take with me. In the midst of her writerly wisdom, there were two things I packed away. So, I’m not completely odd. Decades ago, while ferreting away at a doctoral thesis, I came across the confession of a writer whose name I cannot remember. ‘I write best,’ she said, ‘when I am in places of low level human activity.’ While the profound metre will barely twitch for most, it was for me a kindred moment. I have always written most easily in cafes. While I love a good library — the older and grander the better — and the book-lined study is a gift, there is something about the right cafe that ratchets up my creativity, even my concentration. Of course, the wrong cafe is just wrong — the one where the music is too loud, the tables crowded and spaced too greedily together. Or those where lingerers are clearly unwelcome. But the right space is as wonderful as it is rare. In an essay on writing, the poet and novelist Jay Parini describes his own right places, diners mainly, where for the price of a coffee he has felt the hospitality to spend hours lost in words. Jay Parini, ‘Writing in Restaurants’ in A Slice of Life: Contemporary Writers on Food, ed. Bonnie Marranca, New York: Overlook Duckworth, 2003, 57-61. Marilynne Robinson, ‘Freedom of Thought’ in When I Was a Child I Read Books, London: Virago, 2012, 6. Colin Nissan offers some sage advice for people who write, or perhaps better said, those who aspire to write but are too busy thinking about it to actually do it. Can’t say I endorse it all (blush), but it’s food for thought! I only went to make up the numbers. 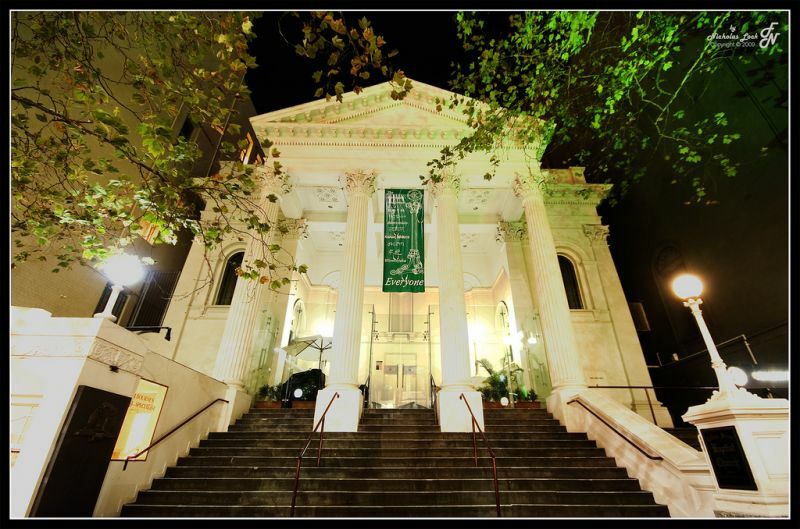 Though a member of Writers Victoria for a few years, I’ve never ventured into an AGM. I only did so this time because of a last-minute email plea for participants to make quorum. I felt obliged. What I found was a small but passionate group of people practically committed to the life and work of local writers. An idiosyncratic crowd for sure, but inspiring no less. Addicted to this writing business myself, it was reassuring to meet a sample of this previously amorphous community ‘in the flesh’. There are similar groups to this in every state and territory of Australia, but Victoria’s membership dwarfs them all (AGM attendance aside!). What is it about Victoria, and Melbourne in particular, and the written word? One of its writers Sonya Hartnett describes this city as uniquely and historically ‘bookish’, and another, Sophie Cunningham, ‘a city that lives in its head.’ According to historians, it has ever been so. Even in the early days of the colony, artists, writers and ‘bohemians’ were drawn here in significant numbers. Today, I am told, Melbourne is home to a third of Australia’s writers, a third of the nation’s bookstores, and accounts for over 40 per cent of national book sales. With great fanfare, Melbourne was officially recognised as a UNESCO City of Literature back in 2008, only the second city to be designated as such after Edinburgh. Today we share the podium with six other cities around the world. In a recent essay in the journal Meanjin, the authors note the qualifications unique to each of these cities, Melbourne’s being tied less to its literary history and more to the bookish interests of its residents. They have us tagged! I’m not sure any of this means much. As for the cache of ‘urban cool’ this bestows upon us, I suspect it’s more in our imagination than anywhere else. Indeed, the above essay makes the suggestion that the diversity of Melbourne’s current literary interests is as much a result of the city’s ‘less-than-lovely geography’, a factor that keeps us all indoors and reading, than anything more glamorous. Still, however we got this way, I like it. A bookish city. That’ll do me. Sonya Hartnett, Life in Ten Houses: A Memoir, Melbourne: Penguin, 2012, 9. Sophie Cunningham, Melbourne, Sydney: New South, 2011, 7. Caroline Hamilton & Kirsten Searle, ‘Great Expectations–Making a City of Literature’ in Meanjin (1/2014), 142-151. To coincide with the Melbourne Writers Festival and our own season of films and books, we’ve invited the poet Cameron Semmens to be our writer-in-residence at Collins Street. As part of his residency, Cameron has offered two writing workshops, one last weekend called micro-memoirs and another this Sunday, creativity and spirituality. As a writer of prose, I’ve always thought of what I do with words as the art of fleshing things out, describing, explaining, painting pictures with a volume of colour. It’s expansive. As a poet, Cameron is about an economy of words, reducing things down to their simplest form, the most careful selection of words, but those that get to the very heart of things. And he does it beautifully. Not only so, but as he worked with a group less experienced in such things, what he drew out of us was powerful. Listening to Cameron and watching his passion for words reminded me of a short essay I read a few months back by the English novelist Mark Haddon. 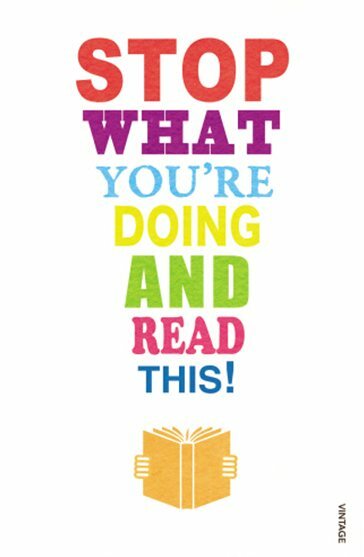 It’s in a quirky collection of pieces called Stop What You’re Doing and Read This. 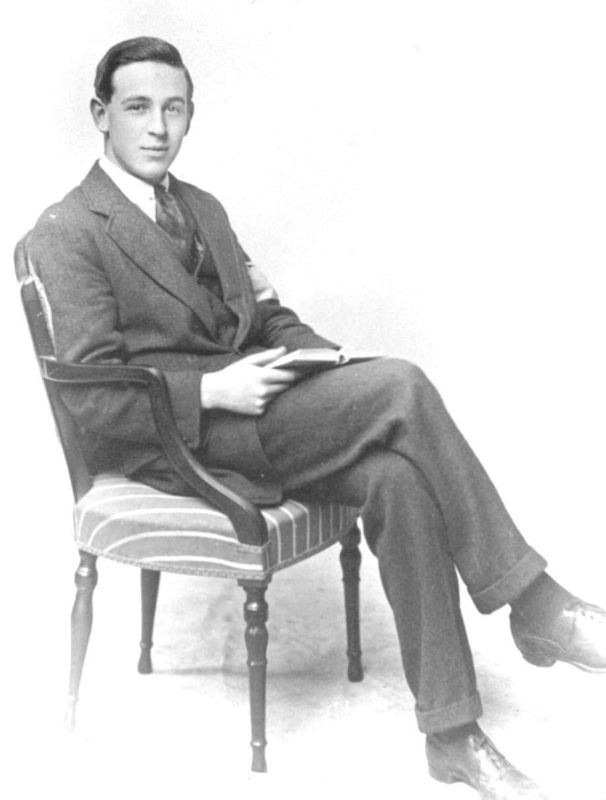 Haddon recalls his early infatuation with words that could transport him to another world and his subsequent passion as a writer with the arrangement of words that will transport others. This really is the miracle of writing: a simple act of arrangement and those ‘words that you could hear at the bus stop’ become those that burrow into the heart and change things. OK, so it was on the clearance table for $6. For the title alone I thought it was worth the money. 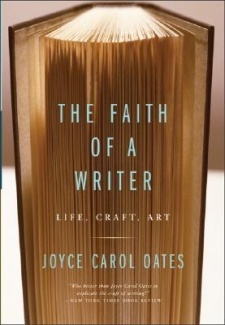 The Faith of a Writer: Life, Craft, Art is a collection of essays by the North American author Joyce Carol Oates, each one previously published in other places. Most of it I happily read, though some parts with more care than others.